The 7th Open Educational Resources Conference, OER16: Open Culture, will be held on the 19th-20th April 2015 at the University of Edinburgh. The conference will be chaired by Melissa Highton, Director of Learning, Teaching and Web Services at the University of Edinburgh, and Lorna Campbell, OER Liaison at the University of Edinburgh and EDINA Digital Education Manager. Strategic and reputational advantages of openness (including, but not restricted to, outreach, public engagement and return on investment). Converging or diverging cultures of openness (including open data, open science, open GLAM, open knowledge, open source, open content, open access). Lorna has over fifteen years experience working in education technology and interoperability standards, with a specific focus on open education. 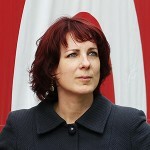 She leads the Open Scotland (http://openscot.net/) initiative, is a member of the Open Policy Network (https://openpolicynetwork.org/) and the Advisory Group of the Open Knowledge Open Education Working Group (http://education.okfn.org/). Her current areas of interest include open educational resources, open education policy for Scotland, new subject coding schemes for UK higher education and innovative approaches to providing access to multimedia content for teaching, learning and research. Lorna works as Digital Education Manager at EDINA (http://edina.ac.uk/) and as OER Liaison within the Learning, Teaching and Web Services (http://www.ed.ac.uk/information-services/about/organisation/learning-teaching-web) Division. 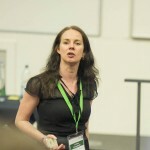 For many years she was Assistant Director of the Centre for Education Technology, Interoperability and Standards (CETIS), and recently became a founding partner of CETIS LLP (http://www.cetis.org.uk/). She is also an independent historical scholar and has an academic background in archaeology.